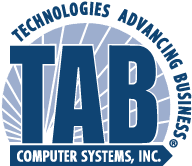 Since 1995, Computer Talk with TAB has been on the air live on Hartford's 50,000 Watt News Talk Radio Station WTIC News Talk 1080AM and simulcast on 96.5FM HD 2. Listen anywhere via the Radio.com App. Each week we provide an in-depth practical view of computers and their place in our everyday lives. A Computer Radio Program for everyone! Erik & Bob from TAB Computer Systems host the show and provide real time answers to callers questions. . The show is geared towards the everyday computer user with questions about how their computer works and how to fix it when there is a problem. Got some time this Saturday between 9:00 am and 11:00 am? Tune in to Computer Talk with TAB, or better yet, get involved in the show by giving the guys a call at 1-800-966-WTIC! You can also e-mail them right in the studio at gethelp@tabinc.com. During the course of the show, Mike G. constantly updates the "Live Links" area to reflect what's being discussed. If you miss a show, you can always hear it again here! You can also listen to PODCAST here! Get help with your hardware issues: Printers, Scanners, Modems, DVD, USB, Hard Drives, Monitors, PDAs, iPod, and Digital Cameras. Having a problem with your operating system? They can help. Having trouble with a software application? Programs like Internet Browsers, Word Processing, Music Rippers, Outlook, Anti-Virus, Anti-Spyware, Anti-Spam, etc. Give the guys a call! They will do their best to solve your computer issue or at least point you in the right direction. Like our FaceBook page for all of the show links and post your computer questions. Don't forget to follow us on Twitter! Here are the links from the most recent show. If you're on this page during the show, you may want to refresh it often to stay up to date with the links. Click here for the prior shows' links.